Presented is a Boston Celtics road jersey that was used by Kevin Garnett during the 2010-11 NBA season. 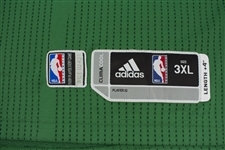 The size 3XL (Length +4") adidas climacool jersey show moderate to light game use. 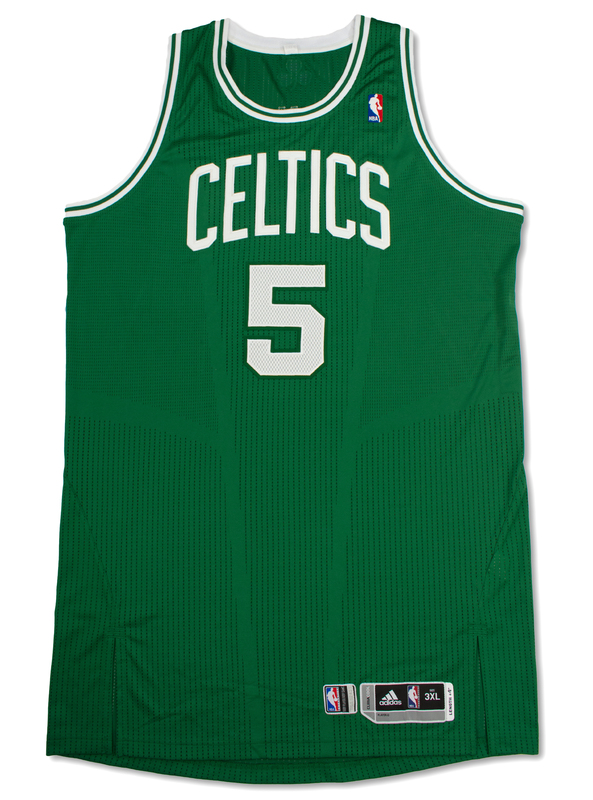 The jersey was consigned to us as game used and shows moderate signs of game use with light staining spots on both side. 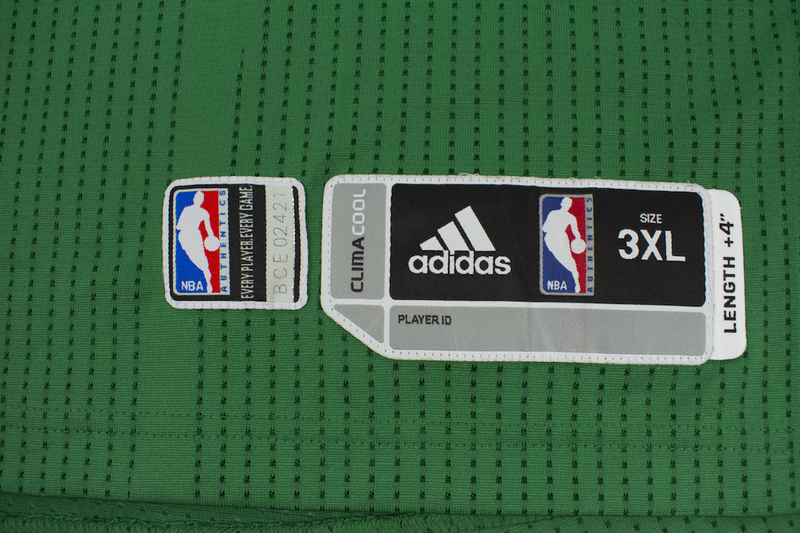 The NBA authentics tag adjacent to the size tag reads "BCE02421". The manufacturer's tag on the inside reads "03/11", "P55123", "AZB001" indicating the date of manufacturing and additional factory codes. 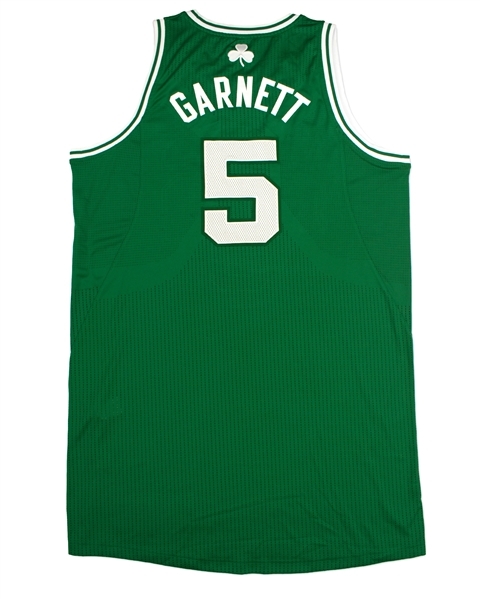 Garnett is a 15-time NBA All-star, won the NBA's Most Valuable Player award in 2004, and won an NBA Championship in 2008. The jersey is accompanied by a letter of authenticity from game used expert Dave Miedema.